He puts it all down to the hard work and discipline that Essen has displayed from an early age. “The guy is so professional you have no idea,” Boateng said. “When we all went to Europe most of the time he declined to come with us for holidays. “When you called to ask his whereabouts, he would answer that he was at home watching Formula One. “The guy was so determined and he was only one during our U-17 days that kept his position right from the friendly through the tournament.” Boateng added. 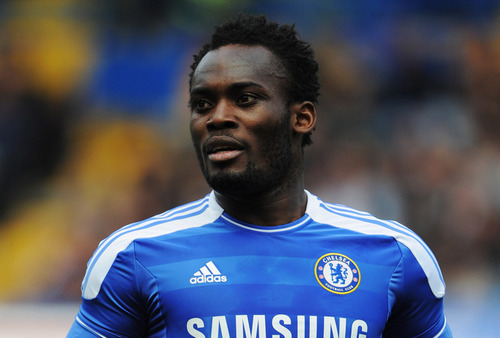 At his peak, Essien was widely considered as one of the top five midfielders in the world. His muscular, dynamic brand of football first came to prominence in France playing for Bastia and then Lyon. His performances soon drew the attention of the big clubs in Europe and it was to London and Chelsea where he really made his name when he signed for them for £24.4milion in 2005. He would play for them for nine seasons and made 166 appearances scoring 18 goals. He won two Premier League titles, three FA Cups, one League cup and the UEFA Champions League in 2012. He also played 56 times for Ghana scoring 8 goals. He was such a versatile player in that he could play anywhere across the backline having played centre-back and full-back at stages in his career. He is loved in Indonesia where he has already netted five times in 27 appearances so far.